EDITOR’S NOTE: The following article is based on an edWeb.net webinar entitled “Game-Based Learning Initiatives for Secondary STEM: Four Implementation Models” given by Carole Urbano and Susannah Gordon-Messer of The Education Arcade/Scheller Teacher Education Program at MIT. “Knowledge is built by the learner, not supplied by the teacher.” This constructivist tenet by Jean Piaget in his book The Psychology of the Child was taken one step further by Seymour Papert in The Children’s Machine, when he asserted that people learn by constructing something external and sharable, such as books, computer programs, sand castles, and even Flipagram videos. The act of creating something sharable is the power of quality game-based learning. So what is quality game-based learning and how can it fit into the classroom? A good game doesn’t just shovel in nonrelevant math equations here and there. And it doesn’t make play the reward for correctly solving a problem. A good game inspires players to progress for the sake of achievement. Why are you using it? Reasons include pre-instruction learning context, post-instruction application, post-instruction practice, formative assessment, and engagement. What type of game is it? Examples include short-play games, immersive role-playing games, puzzle-based games, and board games. Where will it be played? At home, in class, in the library, or computer lab? How will it be used? One way is to assign the game as homework. Or it can be part of a formal lesson plan, as part of free exploration, for enrichment/extra credit, or as competition. MIT’s Education Arcade/Scheller Teacher Education Center offers several free games designed to inspire and challenge students. 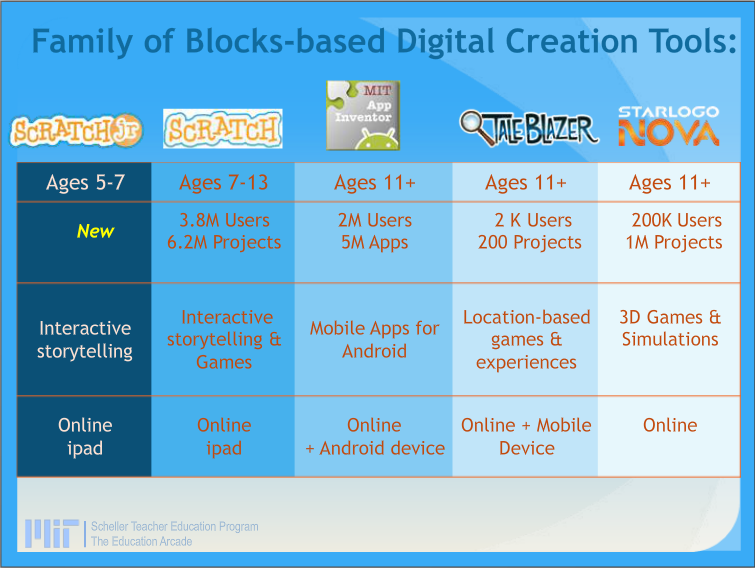 A family of blocks-based programming tools, Scratch Jr., Scratch, MIT App Inventor, TaleBlazer, and Starlogo Nova, provide creation tools for all ages. There are easy-to-follow tutorials and teacher supports for these products, such as the Scratch Curriculum Guide, App Inventor 2 tutorials, TaleBlazer tutorials, and StarLogo Nova tutorials. Radix Endeavor teaches STEM skills to middle- and high-schoolers. It looks like the MMOG World of Warcraft. Players are dumped on a fictional island and must solve the inhabitants’ problems using math and science skills. They investigate, collect evidence, and analyze things. It includes data analysis tools such as a stool collector, critter catcher, ruler, trait decoder, food web kit, population survey, and timeline to measure how traits change. 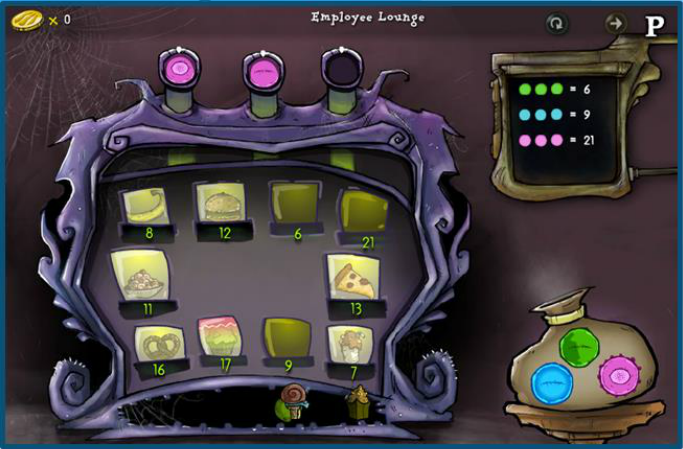 The game includes a teacher mode to track student progress. Teachers often use Radix Endeavor as a skill-building exercise. Figuring out which tool to use to answer a specific question is a 21st century learning objective. The game’s Genetics Quest includes a breeding station and Punnett square, and this is popular with teachers — one teacher uses it during her class to for concept reinforcement. Radix Endeavor includes guiding questions for players to link the game to the actual classroom. One teacher uses the questions as journal entries for her students, posting them on Google docs where she can see what the students write as they progress. The Food Web Kit Tool is being used by a middle school science teacher as homework. He uses this as a shared experience for discussion. The Geometry stations are being used by a middle school math teacher as general enrichment and skill building for 7th graders; it provides a shared experience for students. 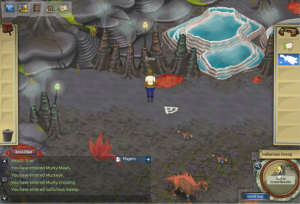 The data analysis tools are used in the math and biology quests. They are popular with after-school programs for enrichment and skill-building. Lure of the Labyrinth is a puzzle-based game which teaches middle-school math. It includes a narrative involving solving puzzles to free pets. For the puzzle there are no directions — the player must discover what problem needs to be solved. This supports playful exploration. There are coins but the values aren’t clear — the player must figure them out to buy a snack from a vending machine. 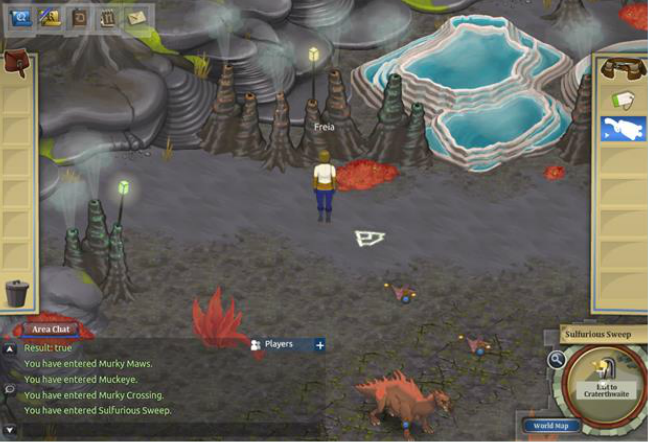 Replay of the game allows players to become more efficient in problem solving. Similar concepts are presented when players buy items from a cafeteria or prepare a recipe. For example, one challenge is to build a fence to protect plants on a grid, so the player must map out fence panels efficiently, building upon concepts of area and perimeter. Another challenge is to collaborate and work in teams. In that case, the teacher assigned the game as homework. One of the students was struggling so he asked for help. No one was online at the time, so he filled out a “think aloud” log exercise which helped him get closer to the answer. Some teachers use group game play as part of instruction. Others use the game as homework for practice, or pre-instructional context setting. Some geometry teachers use these to create a shared enrichment experience for their kids. Other teachers use them to teach statistics. Tagged games for learning, Lure of the Labyrinth, MIT App Inventor, MIT Education Arcade, Radix Endeavor, Scheller Teacher Education Center, Scratch, Starlogo Nova, TaleBlazer. Bookmark the permalink.